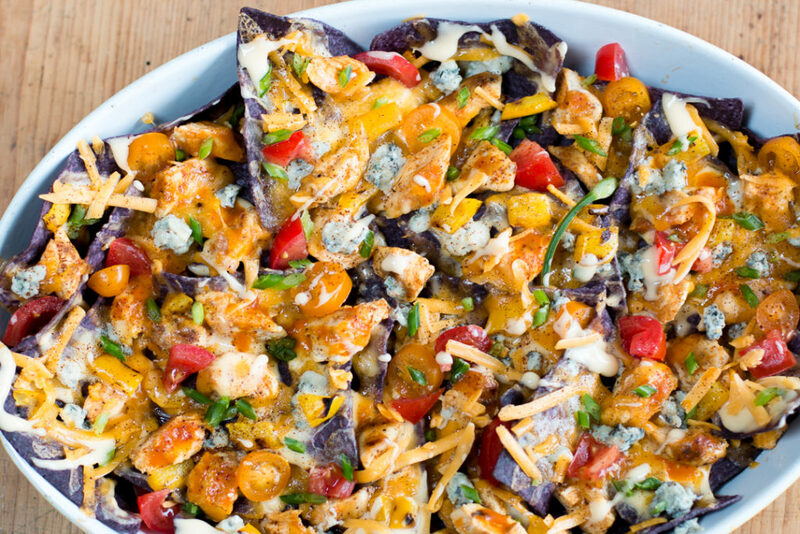 Ingredients matter in these super Nachos! Organic Blue Corn Tortillas are the base. 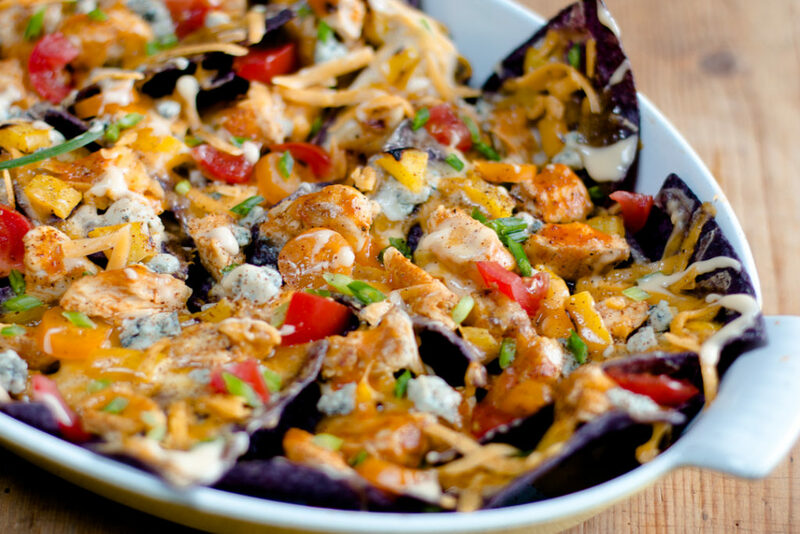 Loaded Nachos don’t need to be fattening, processed mess! Serve these on Super Bowl Sunday… rave reviews to come! One of my favorite recipes to happily feed a crowd. Updated with healthy ingredients for deliciousness in every bite. 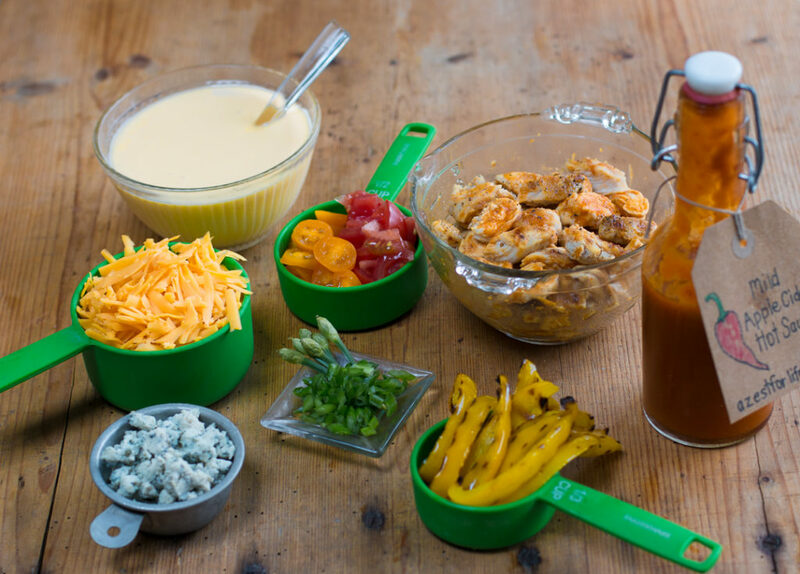 “Buffalo” flavors linger as you toss the freshly-grilled chicken cubes in your favorite hot sauce (the heat will depend on your taste buds) – and dotted blue cheese on top of the nachos. I think the cheese sauce is necessary – keeps all moist and flavorful and won’t dry out the tortillas. 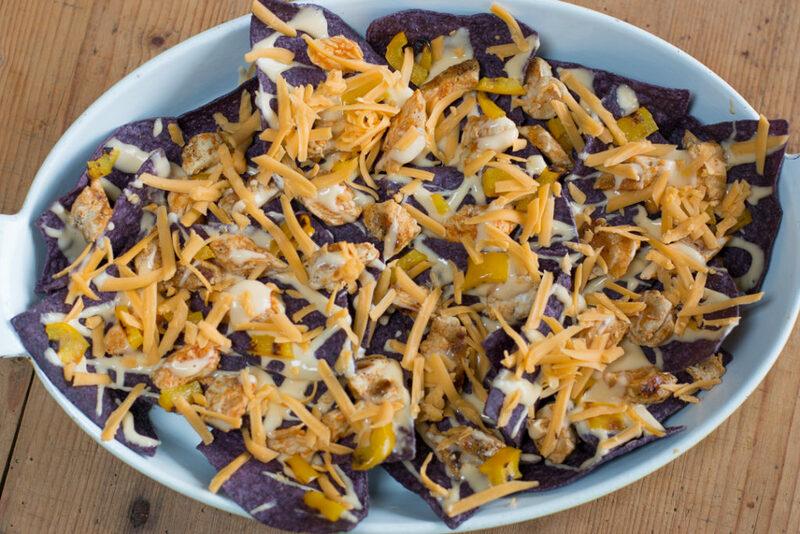 For Vegetarian Nachos – substitute your favorite grilled veggies for the chicken. Add your favorite beans. There are many ways to personalize your Nachos. Other add-ons could include: pickled jalapeños, grilled shrimp (smothered in hot sauce), sour cream, beans of your choice or refried beans. 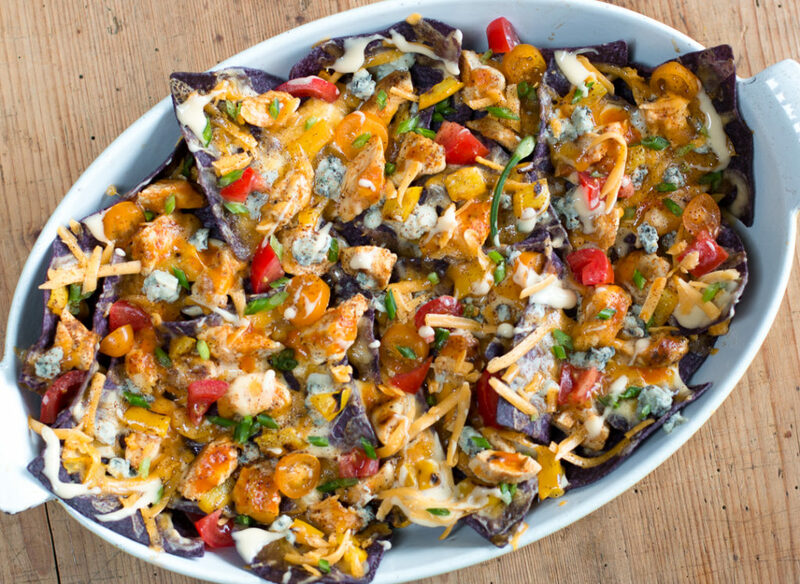 Layer up these Nachos just before serving and broil 8″ from your heat source. ﻿Every bite is loaded with these delicious toppings! The ultimate healthy appetizer… that eats like a meal.